Business today demands efficient, seamless communication that facilitates rapid decision-making and customer responsiveness. UNIVERGE360 is NEC’s approach to help businesses succeed at this accelerated level. The foundation of UNIVERGE360 is a Unified Infrastructure. The UNIVERGE SV8100 Communications Server is a key component of this foundation and is the ideal system for businesses that wish to compete and grow over time. This robust, feature-rich solution is completely scalable and can be expanded to meet your communications needs both now and in the future. traditional circuit-switched technology with a single SV8100 system. migrates to the larger line capacity SV8300. gateways and media converters through a single unit. Customers expect to conduct business quickly and easily. They have no tolerance for long call-holding periods, incorrect call routing or lost messages. The UNIVERGE VM8000 InMail Solution is ideal for businesses wishing to maximize customer satisfaction by ensuring that all callers get to the people and information that they need without prohibitive hold times or dropped calls. As a part of NEC’s UNIVERGE?360 approach to integrate communications into the business environment, the VM8000 InMail automates your communications by providing digitally-integrated voice messaging capabilities and Automated Attendant features. 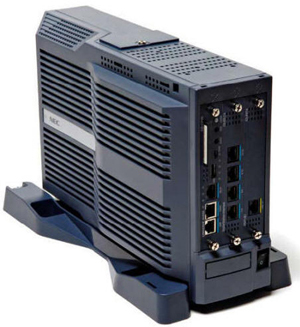 This embedded solution for the UNIVERGE SV8100 Communications Server can help meet your organization’s communications needs both now and in the future. The UNIVERGE UM8000-Mail solution is an in-skin unified messaging system that delivers abundant message storage, scalable port capacity and all the features you’ve come to expect from NEC, a leader in voice messaging products. 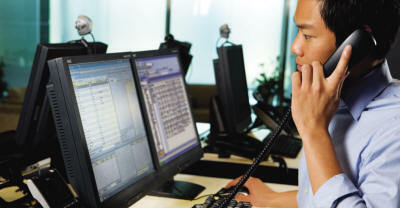 This solution, which is designed specifically for SV8000 Series Communications Servers, is aligned with NEC’s UNIVERGE360 approach to unifying business communications by integrating voice, fax and email messages into one inbox while offering reliability, a smaller footprint and lower operating cost than other systems.